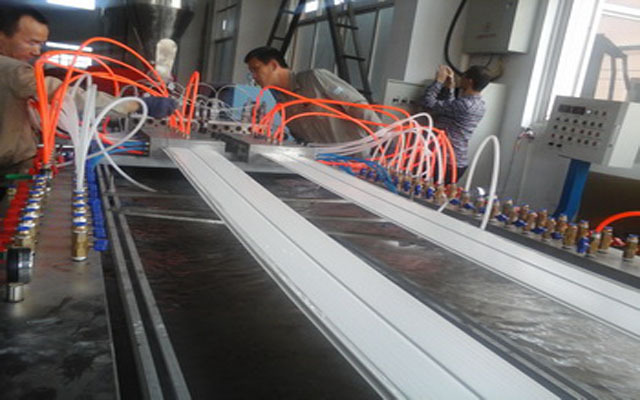 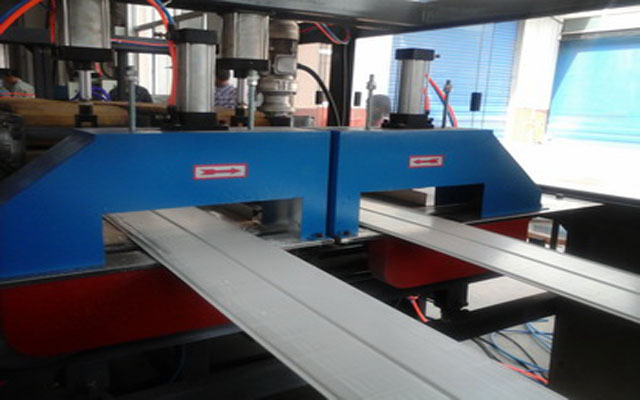 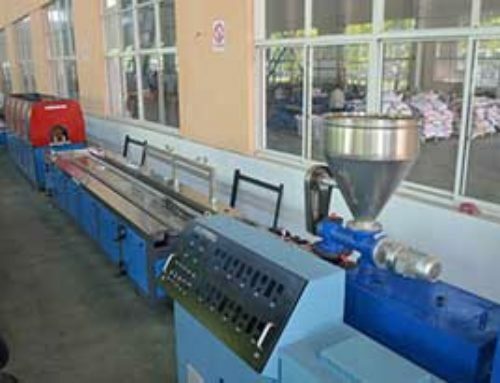 PVC ceiling panel extrusion machine is used to produce PVC ceiling panel (board), PVC decoration door panel, change mould, it can produce PVC profile. 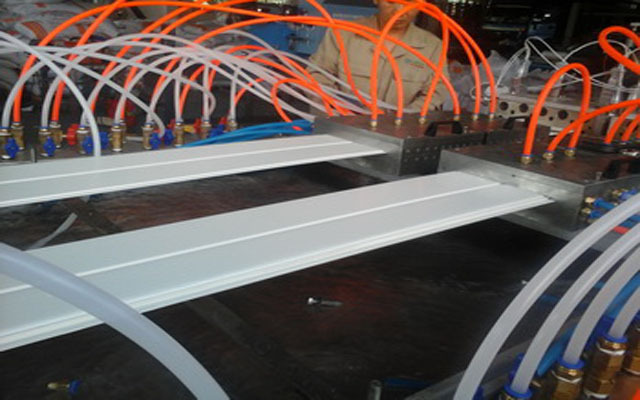 This machine is used to make PVC ceiling, PVC door, window profile, decoration panel and so on. 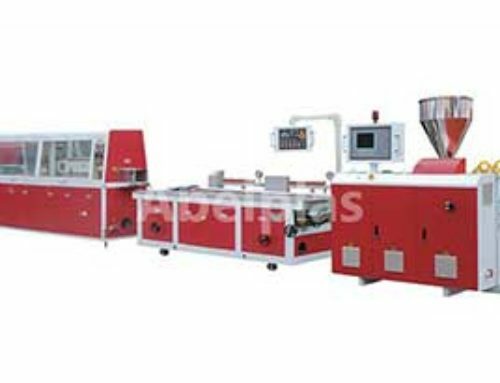 one is High glossy double colour pvc panel printer,which include: printing, coating , varnishing, heating ,drying . 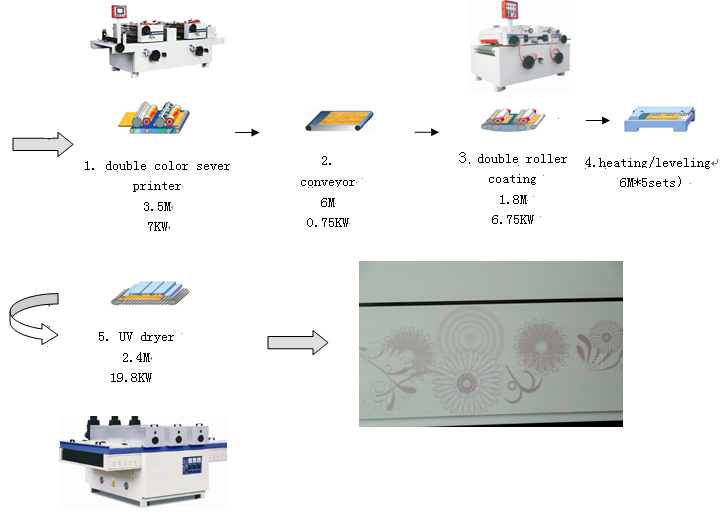 The hot stamping process : 1.choose stamping film with different Decorative Patterns ,such as wooden texture , figures 2. 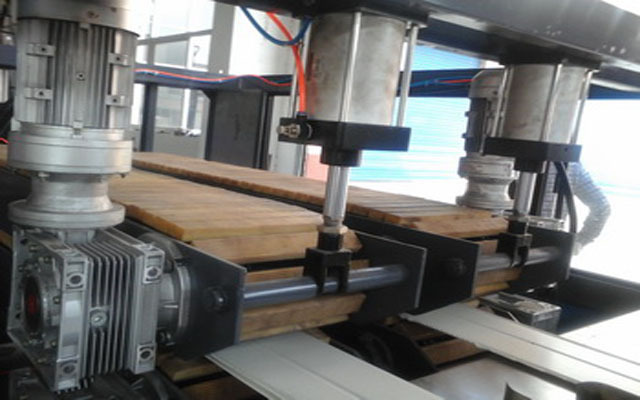 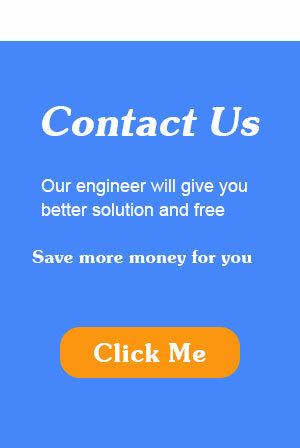 Use machine to heating ceiling panel , and print decorative patterns on surface of ceiling panel . 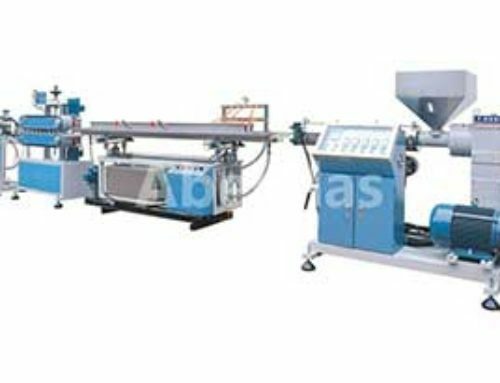 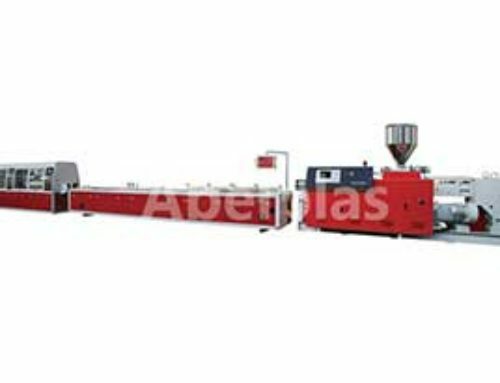 This machine is used in the thermo printing of various kinds of exquisite patterns on PVC indoor wall-skirting board, plastic door, low-foaming board,pressed multi-ply board,ane fibre board etc. 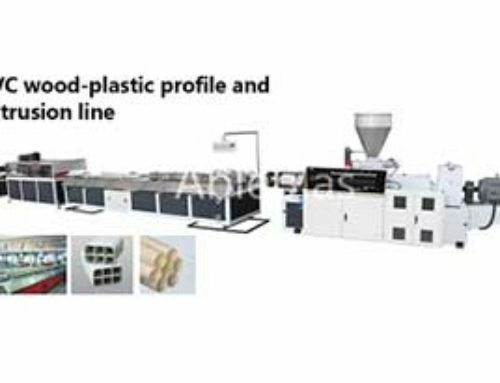 The machine uses static elimination,cleaning, glue coating, pneumatic pressuring and heat-resistant silicon roller thermoprinting.lt features reliable and stable operation,low noise,free,speed regulation and easy operation.